When I was living on my own in a small apartment right out of college, I was stoked to decorate for Christmas. The only problem was I didn’t really have any decorations, not even a tree. I was cheap and didn’t want to pay full price for one, so I waited until a couple weeks before Christmas and then scoured the stores for a good deal. After a lot of searching, I found a small tree on the shelf at Target, one of the few they had left. I got it for a fraction of the regular price since it was heavily discounted plus they gave me an extra discount for taking the floor display. I was ecstatic as I stuffed that tree into the backseat of my trusty silver Grand Am. I could hardly wait to get home and deck the halls! Fast forward five years, and I still have that same old tree from Target. It’s a fine tree, but it isn’t anything fancy. It was never very full like all of the beautiful trees you see in magazines. And after years of use, it was looking extra sad when I set it up last weekend. The branches didn’t have much fluff left in them, no matter how hard I tried to liven them up. And the huge gaps in between branches were impossible to ignore. I really wanted to take it out to the curb and go buy a new one. 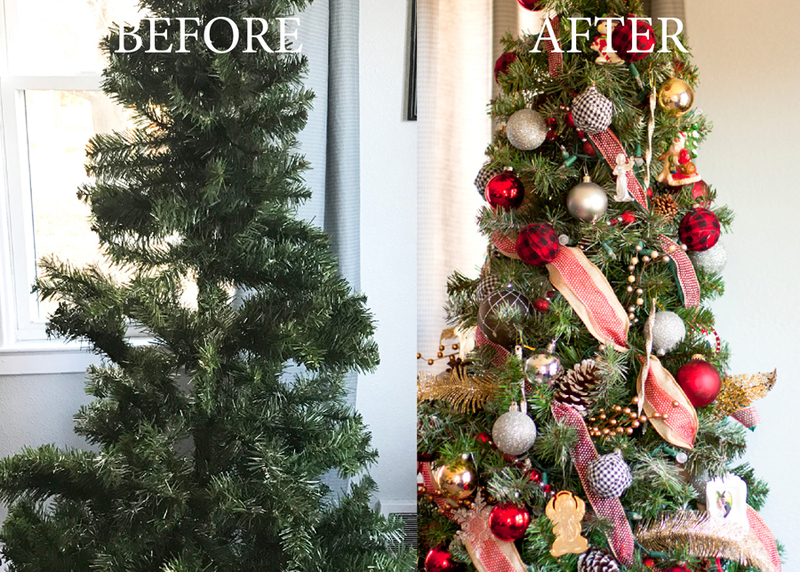 But rather than give up and spend a lot of cash on a new tree, I challenged myself to give this tree a makeover and see if I could salvage it. And it worked! This little tree of mine has never looked so full and stylish, not even when it was brand new. 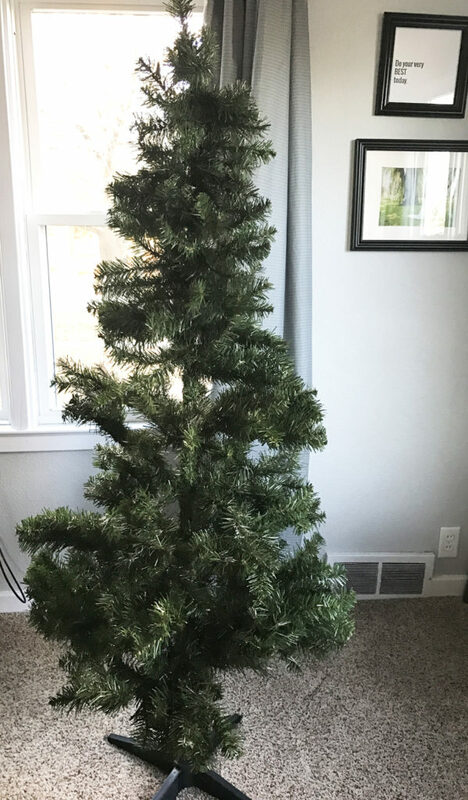 So today I’m going to show you exactly how I went about decorating a Christmas tree that most people would have thrown to the curb. This post contains affiliate links for your convenience. Find more information in my disclosure here. Here’s what the tree looked like straight out of the box. Pretty sad, eh? It is 5 feet tall and has far too few branches. First, I tugged and pulled on the branches until they were evenly spaced around the tree. I didn’t worry about the huge gaps but did my best to arrange the existing branches. 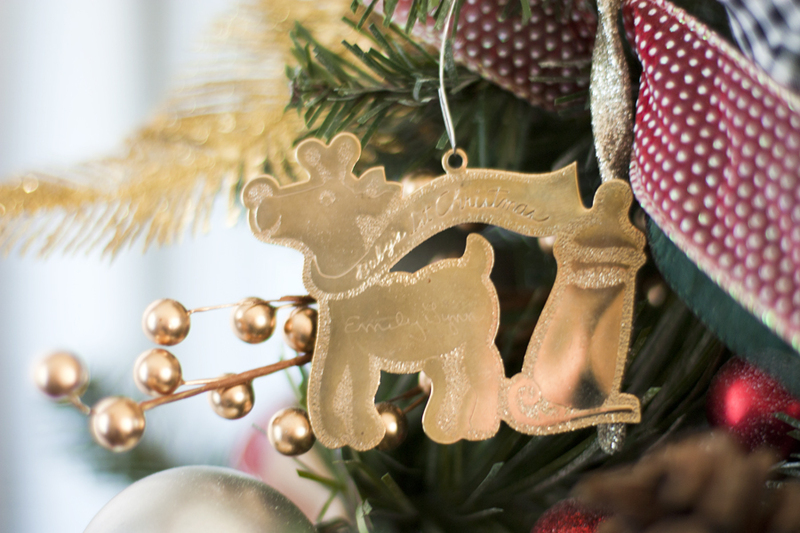 This, my friends, is my secret tip for decorating a Christmas tree! 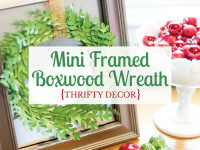 I bought a huge box of faux greenery at the thrift store and wrapped several strands around the tree. I simply wrapped the greenery around and around, with the goal being to fill in all of the gaps between branches. As I worked my way further down the tree, I added multiple layers of greenery to make it wider. I didn’t tie it on or anything, just simply wrapped it around the tree and laid it on the existing branches. 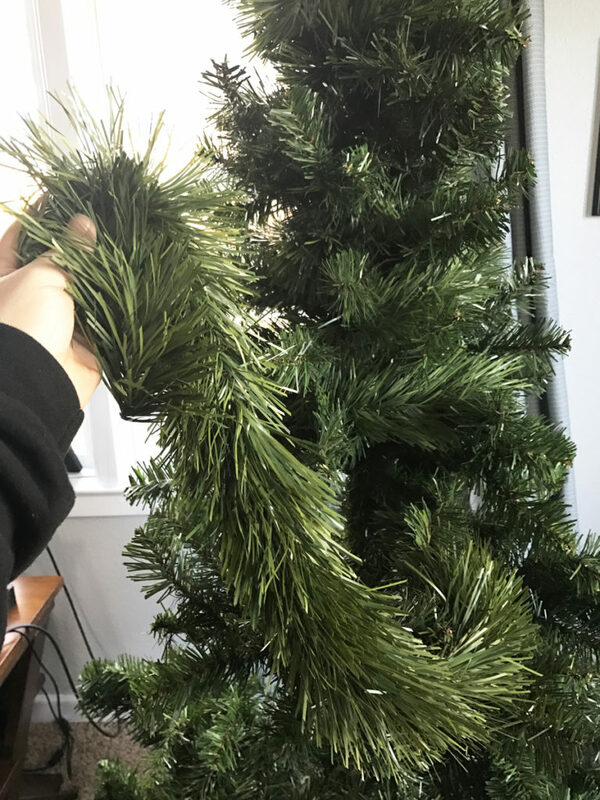 Greenery is cheap to find in the Christmas aisle this time of year, or you might just find a whole box at your local thrift store like I did (see my holiday decor thrifting tips here). You don’t need anything fancy, just the basic kind. I didn’t keep track and my thrifted greenery varied in length, but I’m going to guess I used around 30 feet. To blend all of the cheap greenery in with the existing tree branches, I used a can of this snow spray. Flocked trees are popular right now, and I love the snow-kissed look. I looked up some DIY flocking recipes, but they seemed time intensive to make. So I picked up the cheapest can of spray snow from the store instead. The spray snow is really easy to use. All you do is shake the can and then spray it all over the tree. I did a few light coats, waiting for them to dry in between. 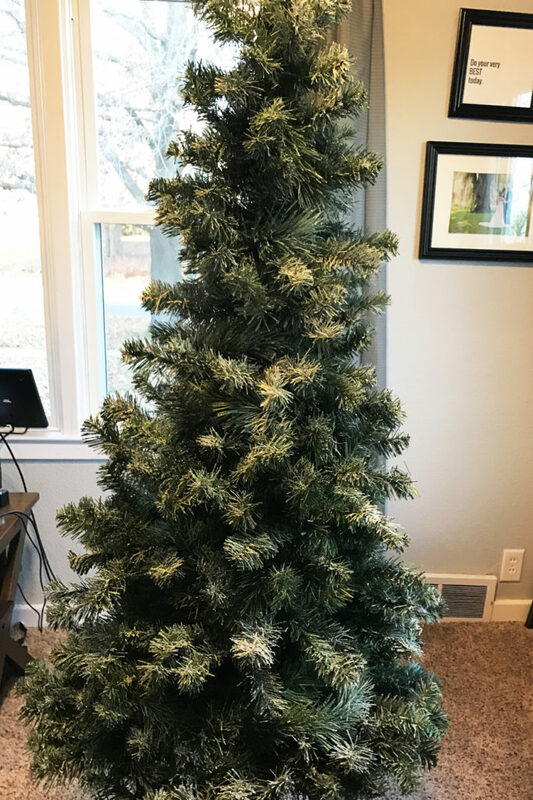 After the first couple coats, the entire tree was snowy and you could no longer distinguish the branches from the secret greenery hidden inside. On the last coat of snow spray, I concentrated on adding heavier amounts to the tips of branches in an effort to get more of a flocked look. If you have a bigger tree than I do, you’ll want two cans of spray snow for sure. I used every last bit of my can and wished I had some more to finish things up, but decided it wasn’t worth a special trip to the store. Once all of the snow spray was dry, I wrapped my tree in three strands of white lights. At this point, my tree was looking much improved! In an effort to give the tree more grandeur, I set it on top of a wooden crate flipped upside down. That raised the tree about a foot! I covered the crate with my tree skirt and, once a pile of presents is in front of the tree, it looked completely natural to be that far off the ground. 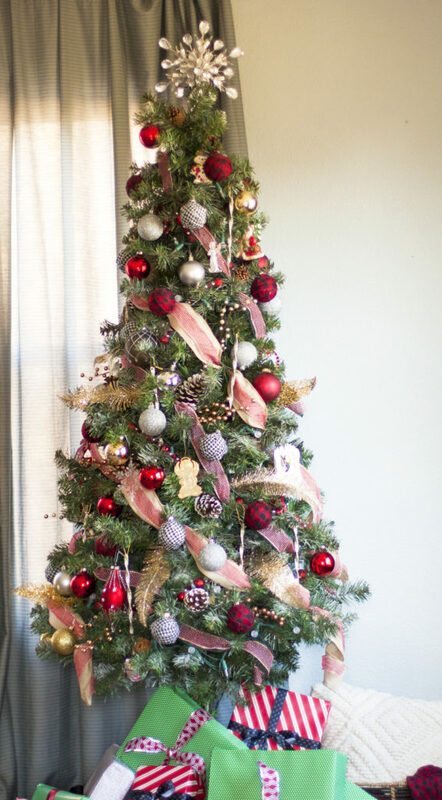 I tried to get fancy this year by adding cascading ribbon to the tree. I’m going for what I’m calling a “cozy glam” style this winter, so I decided to incorporate burlap ribbon to add a bit of a rustic, cabin-like feel to the tree. I also added a strand of red beads. 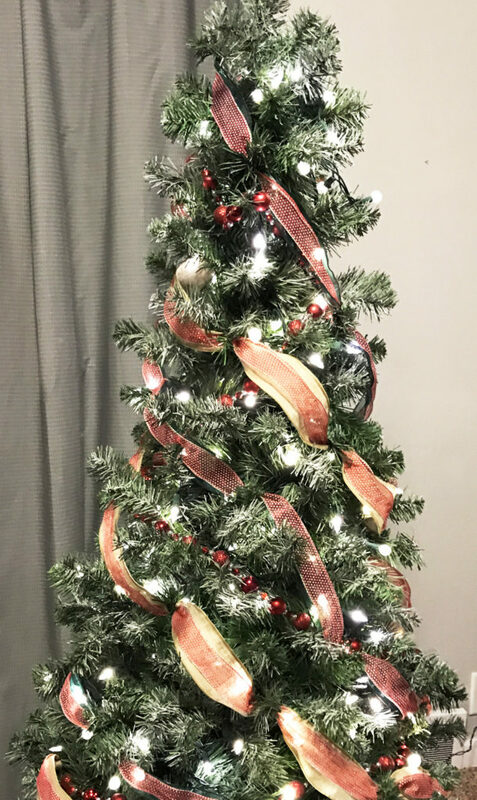 I layered two ribbons of different widths on top of each other and secured them to the tree by wrapping a branch around the ends. Then, I worked the ribbon in a diagonal line across the tree, tucking it in and out as I went. Each tuck is secured by a tree branch wrapped around the ribbon. When I got to the end, I cut the ribbon at an angle and rolled it in a crescent shape to finish it off. I used six rows of ribbon on this tree. I only wrapped the front 2/3 of the tree to save on ribbon since the back isn’t visible anyway. Next up are the ornaments! 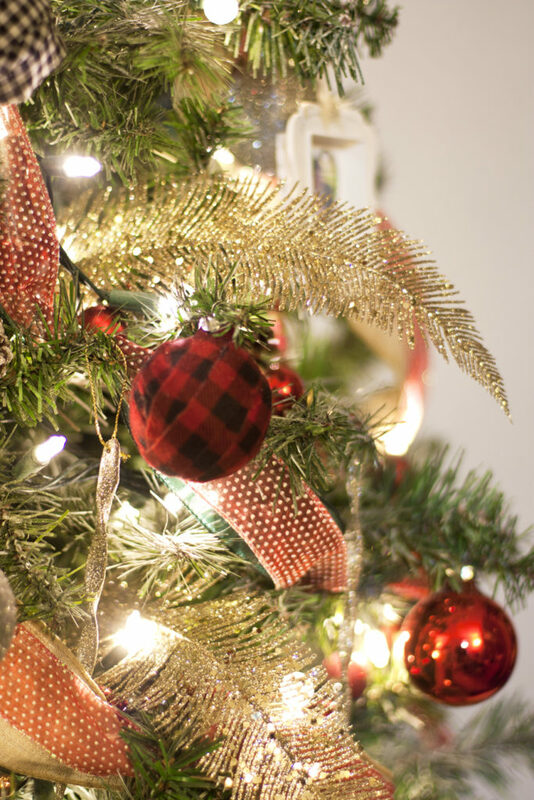 I covered the tree with a mixture of standard red, gold and silver ornaments as well as some plaid and check fabric-covered ornaments I DIYed (tutorial coming soon!). I added some fun fillers to the tree this year, which isn’t something I’ve really done before. I am really happy with how much pizzazz they add to the tree! I used snow-covered pine cones, glittered feathers, sparkly icicles and metallic berry sprays from the craft store. 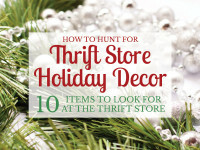 I found mine at Hobby Lobby in the wreath-making aisle during a 50% off sale earlier this fall. 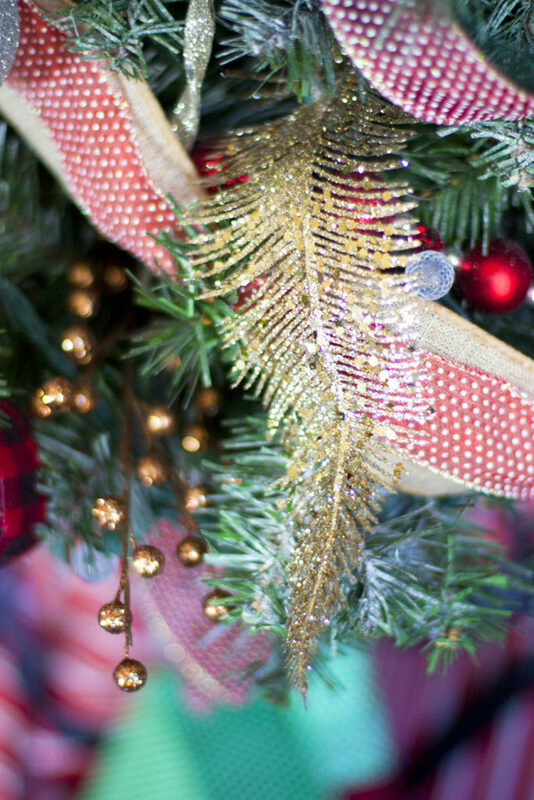 The bigger feathers are an unexpected addition to the tree, and I love them! They add just the right amount of shimmer. 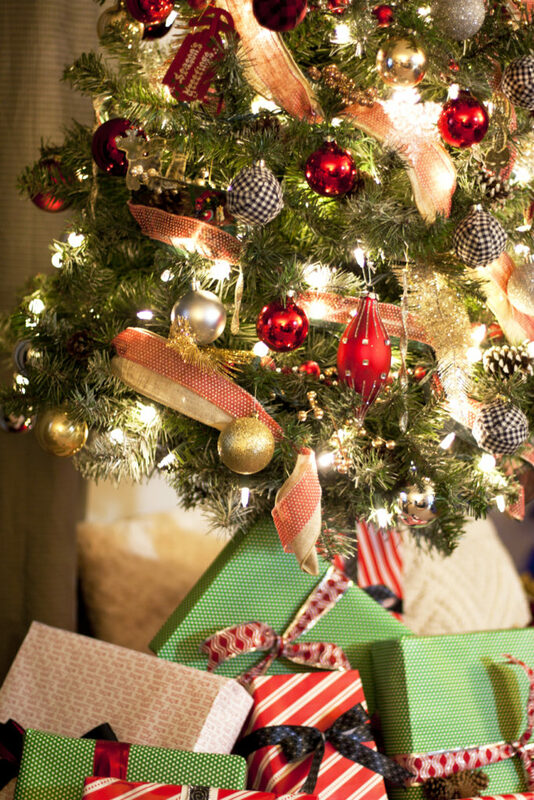 Plus, their size made it possible to hide a few small gaps in the tree by placing them strategically. At this point, my tree was full and looked awesome! I added one more layer of ornaments to finish it off. These ornaments are all meaningful ones I’ve collected over the years. My parents used to give us kids an ornament every Christmas and we would write our name and year on the back. I added a lot of these old ornaments to the tree along with some newer ones David and I have collected since we’ve been married. 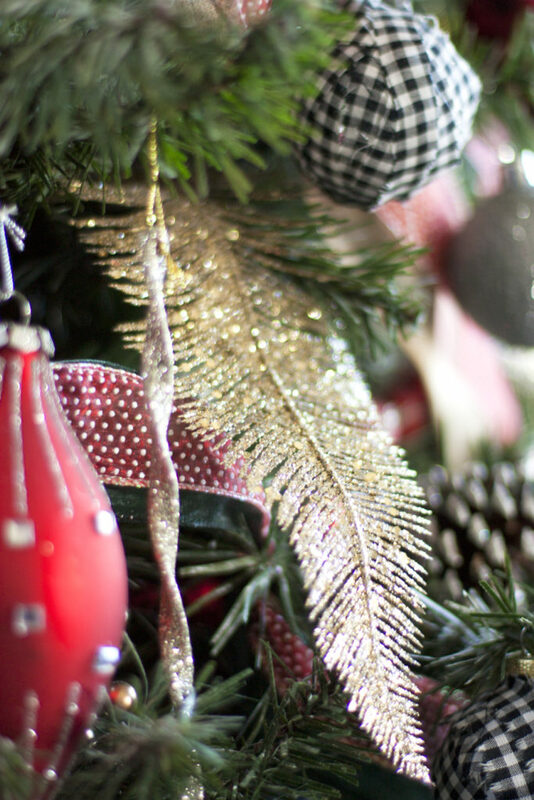 I love having a stylish tree, but I also think incorporating sentimental ornaments makes it more special. 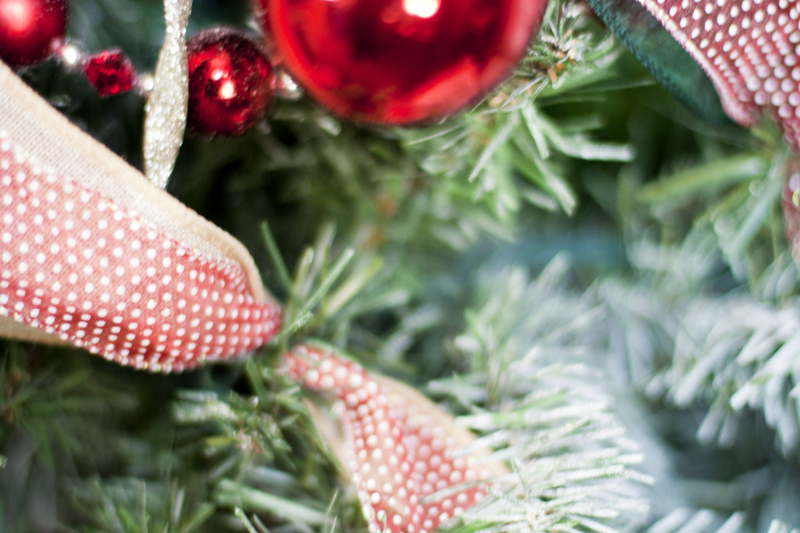 Tree toppers range from basic stars to overstated bows. I’ve had this glass star for a while now and simply clipped it to the top tree branches. Isn’t the before and after of this tree amazing?! I can hardly believe this is the same tree! Adding that greenery as filler and blending it all together with spray snow gave this tree new life this year. I was feeling pretty down about my sad-looking tree when I took it out of the box, but now I love it! 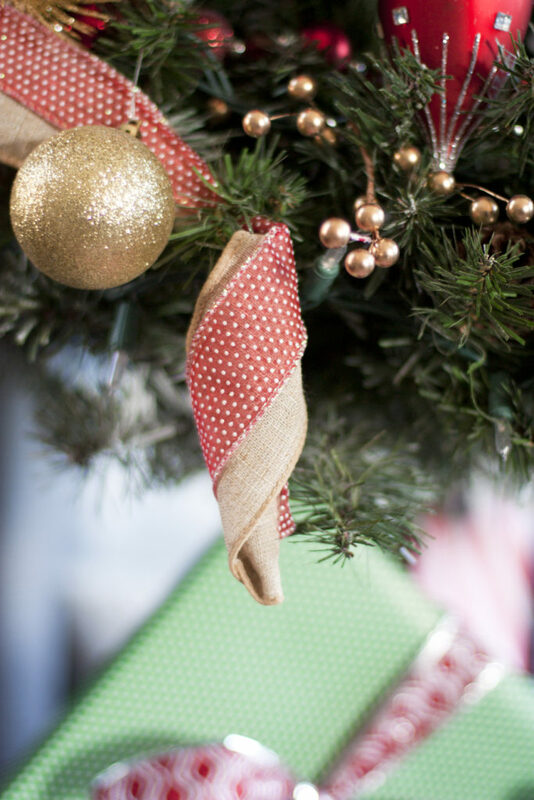 My favorite part of holiday decor is decorating the Christmas tree! 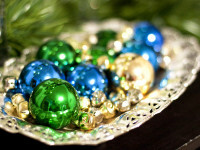 It’s so fun to turn on a festive playlist and get lost in adding pretty things to it. I’ve learned that the more layers you add to the tree, the more professional it will look in the end. 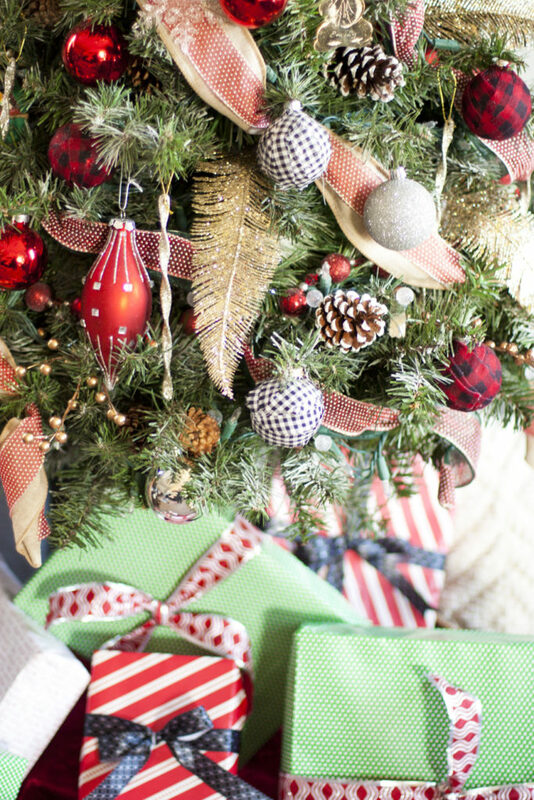 So don’t be afraid to add more ornaments, lights and ribbon than you think you need! 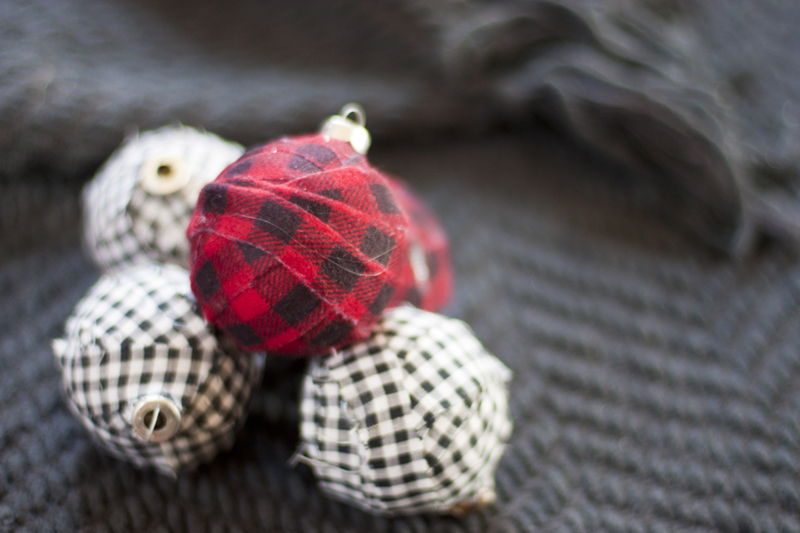 I’ll be back yet this week to show you how I made the plaid and check fabric ornaments for pennies a piece. Thanks for letting me show you how I went about decorating a Christmas tree this year. I’m really proud of how it turned out and love sharing my tips with you. I am very impressed! You have wonderful ideas. Adding the greenery and blending it in is the most helpful and unique idea I’ve come across. Thank you. I’m so glad to hear it was helpful to you, Kim! Merry Christmas! Love your step by step tutorial! Merry Christmas to your family! Thank you, Ashley! 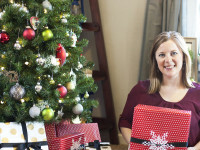 Merry Christmas to you, too! You have made Charlie Brown very happy! You did an amazing job. Ahh, thank you, Mary! I’m glad you like it. Have a lovely day!